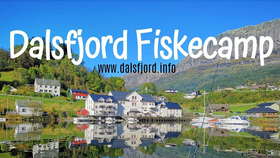 are located in N-6977 Bygstad, a beautiful small village in Sogn og Fjordane, Norway. We have the perfect location for fishing enthusiasts. There are also severeal very good fresh waters for fishing and salmon rivers close by. The dalsfjord is one of the most beautiful fjords in norway. You can catch a lot of different types of saltwater fish and big salmon directly in front of your holiday house. The minimum time for renting an apartment or holiday house are 6 days. If you don`t want to rent an apartment or holiday house, you can also just rent a boat if you want to. The minimum time for renting a boat is 1 day. If you are a guest in one of our apartments you can rent a boat for a cheaper price. We offer a vide range of boats in different sizes. Our boats are carefully selected and tested in terms of safety and function. Most of our boats are new from 2018/2019 and all of them are insured. Life jackets and fish cases are also included.